Growing up I remember when my mom's entire family would come together in my Grandma's living room. A family full of story tellers. My uncle's stories came fast and were full of color, loud, funny - like him. He told fishing stories, stories about bar fights, stories about when he was in the Navy or stories about the various jobs he'd held. My Grandpa's stories were about his childhood, growing up poor, being the oldest of 5, fishing to feed the family, stories about meeting my Grandma on a blind date. His stories were quieter, but still fascinating... still riveting. The grownups would sit around, while us kids would lay on the carpet and we'd all listen, laugh, and listen some more. My mom told me many stories as I grew up. Stories about picking blueberries in her grandmother's blueberry patch, about living in the Upper Peninsula, stories about her college years and a string of curious roommates. Then... I discovered a love of reading. In second grade my mom took me out of public school and began homeschooling me. With a Charlotte Mason approach I learned to love books. I started to read voraciously. The other day my husband and I were discussing our son's appetite for reading and I noted, "That's how I was when I was young. I would lay in bed and read an entire book in a single morning." Little House on the Prairie, L.M. Montgomery, The Witch of Blackbird Pond, Nancy Drew, you name it. My mom an avid reader herself had a never ending collection of books. When I was finished with one all I had to do was look through the bookcases and I would inevitably find another book that captured my attention. For the last year or so I have been telling my boys stories about a set of triplets. Johnny, Ronny, and Lonnie. My boys had been begging me to tell them stories at night before they went to sleep and after telling them most of the stories I can remember from my own childhood I invented these characters. 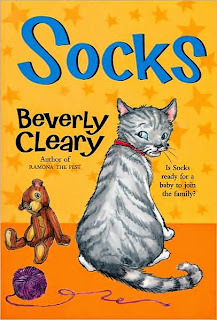 Inspired mostly by Beverly Cleary I have wound some bizarre stories about these 10 year old triplet boys and the fantastical adventures they have. Really, the stories are rudimentary and I doubt anywhere near as excellent as my muse's, but my kids love them. They're full of inappropriate potty humor, boys getting filthy, making mischief, and learning about kindness. In other words, most of the things boys enjoy in a story. It's not often at night that my boys don't ask me to tell them a Johnny, Ronny, and Lonnie story. In some ways I'm surprised they love it so much. But, I suppose in a sense it's become a part of their childhood. This telling of stories, fictional or real has been wound into the fabric of their being. Just as I enjoyed the humor and fun as my aunts, uncles, grandparents, and parents recounted their own lives I have in a way passed this on. These little stories become a framework, a foundation for us as families...people. We are able to connect by way of story telling. This is why most of us love movies, books, and podcasts. We like to hear life from another person's perspective. We love adventure and the mystery of what else is out there. Stories have a way of bringing us together, leaving a legacy, and touching us to our core.